Noss picked up this bike in the summer of 2011 at a steal of a price. 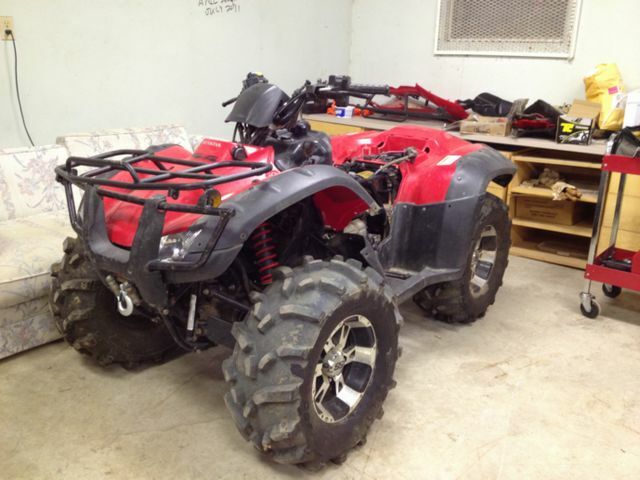 It's a 2006 Honda Fourtrax 400AT, it needs a bunch of work as you can see from the pics, but its a pretty solid quad. When he bought it, it was running but had a slight hesitation. 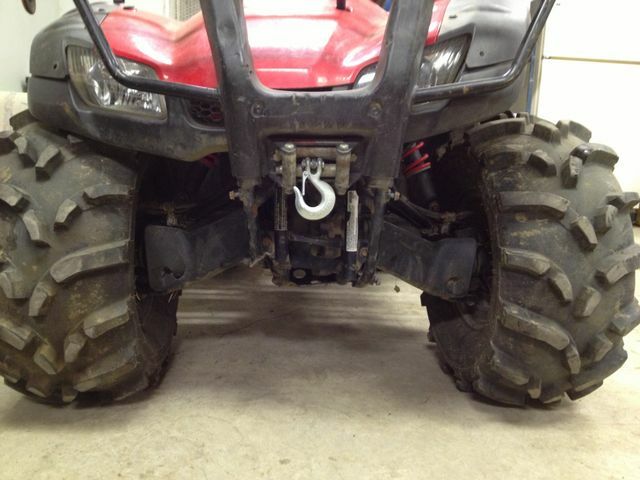 When Noss took it out in the summer of 2012, the bike would turn over but wouldn't start. Over the past couple of weeks we have stripped the carburetor, boiled it in lemon juice, (how to from www.hondaforeman.com) and replaced the jets, float and seals. The carburetor was reassembled, but the bike still wouldn't start. The spark plug and plug wire was replaced, a spark test was performed and the bike is getting fuel and spark. After these repairs did not work, Noss decided to start stripping down the motor, unfortunately he did this before testing compression and checking the timing! So now the engine will be getting an overhaul and properly reassembled. After that, brakes need to be replaced and the front frame dealt with. The previous owner hit something big and did some serious damage to the right side of the frame. 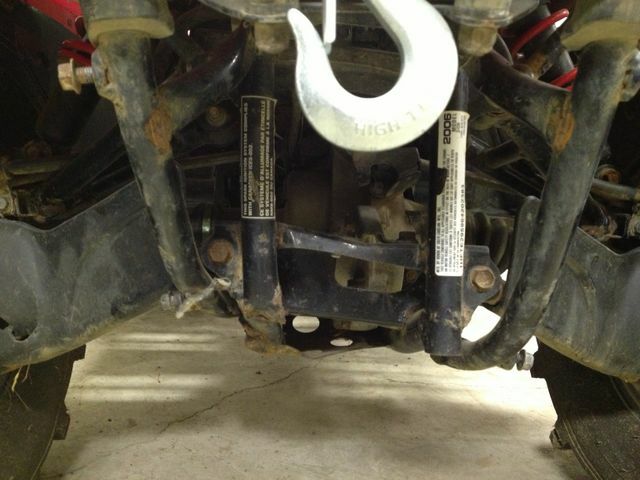 Because of this, none of the racks or suspension are fitting properly.